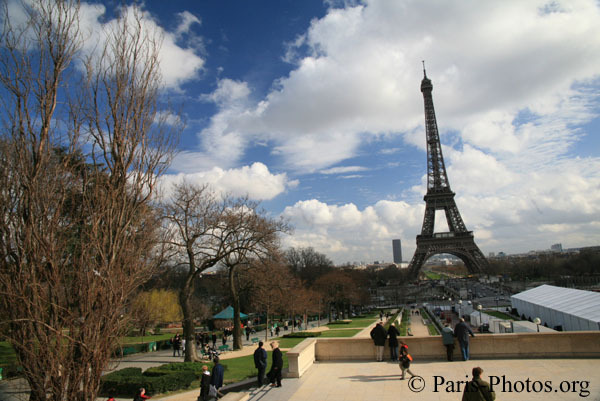 The Trocadéro, site of the Palais de Chaillot, is an area of Paris, in the 16th arrondissement, across the Seine from the Eiffel Tower. 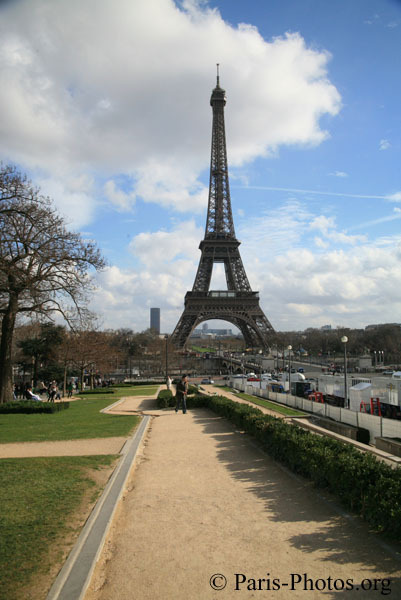 The hill of the Trocadéro is the hill of Chaillot, a former village. 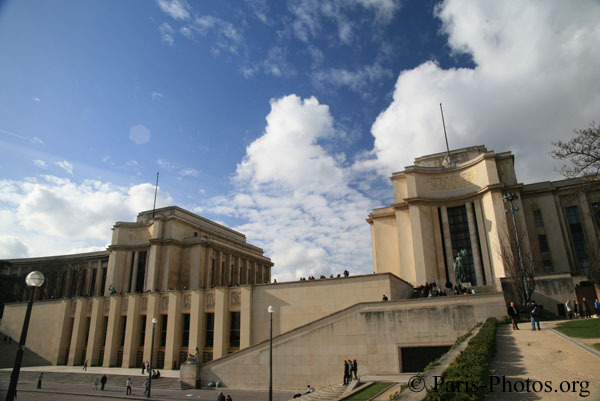 For the Exposition Internationale of 1937, the old Palais du Trocadéro was demolished and replaced by the Palais de Chaillot which now tops the hill. 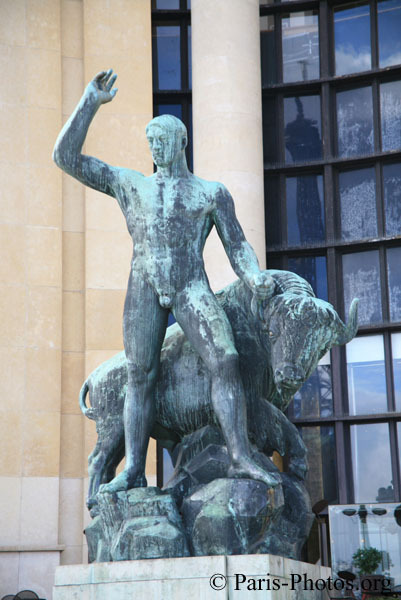 It was designed in classicizing "moderne" style by architects Louis-Hippolyte Boileau, Jacques Carlu and Léon Azema. 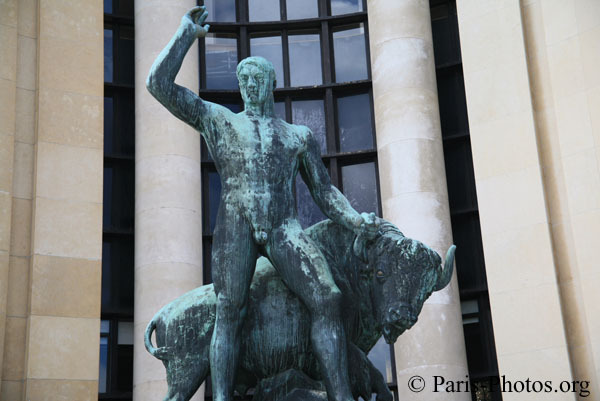 Like the old palais, the palais de Chaillot features two wings shaped to form a wide arc: indeed, these wings were built on the foundations of those of the former building. 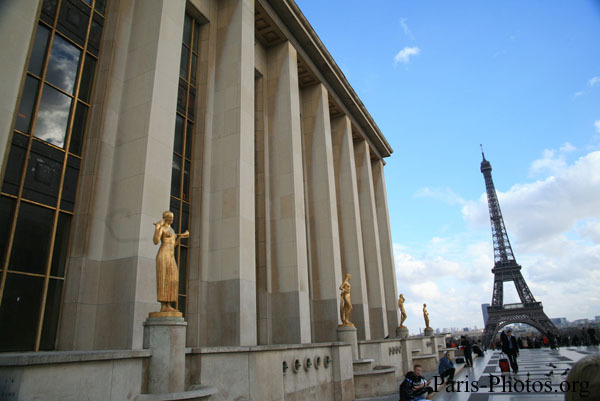 However, unlike the old palais, the wings are independent buildings and there is no central element to connect them: instead, a wide esplanade leaves an open view from the place du Trocadéro to the Eiffel Tower and beyond. 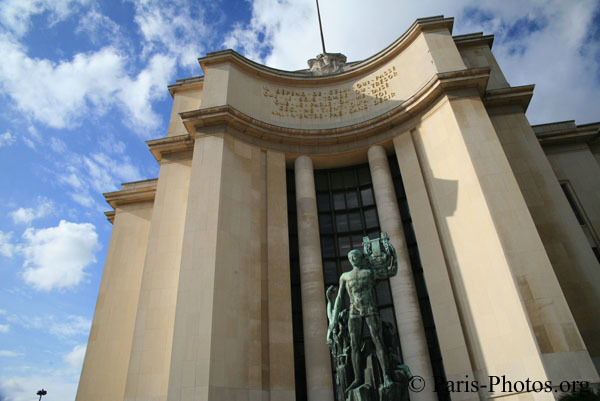 The buildings are decorated with quotations by Paul Valéry, and they now house a number of museums: the Musée national de la Marine (naval museum) and the Musée de l'Homme (ethnology) in the southern (Passy) wing, the Musée national des Monuments français in the eastern (Paris) wing, from which one also enters the Théâtre national de Chaillot, a theater below the esplanade. 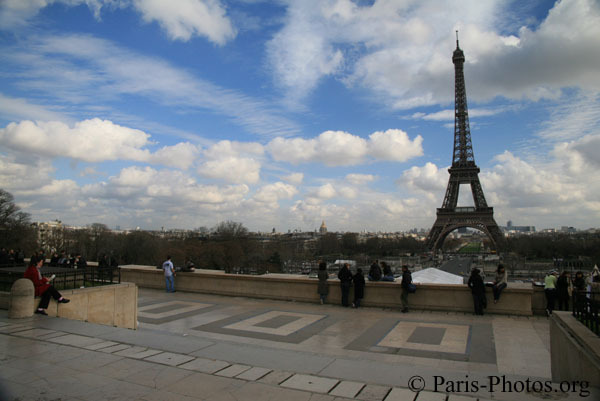 It was on the front terrace of the palace that Adolf Hitler was pictured during his short tour of the vanquished city in 1940, with the Eiffel Tower in the background. This became an iconic image of the Second World War. 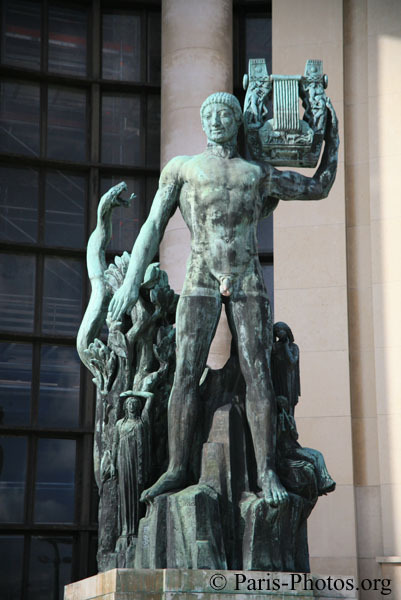 It is in the Palais de Chaillot that the United Nations General Assembly adopted the Universal Declaration of Human Rights on December 10, 1948. 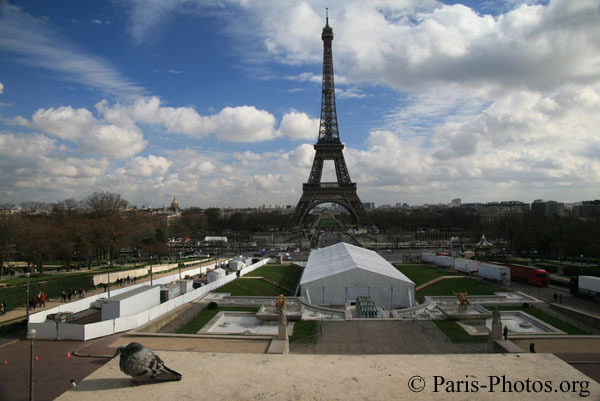 This event is now commemorated by a stone, and the esplanade is known as the esplanade des droits de l'homme ("esplanade of human rights").